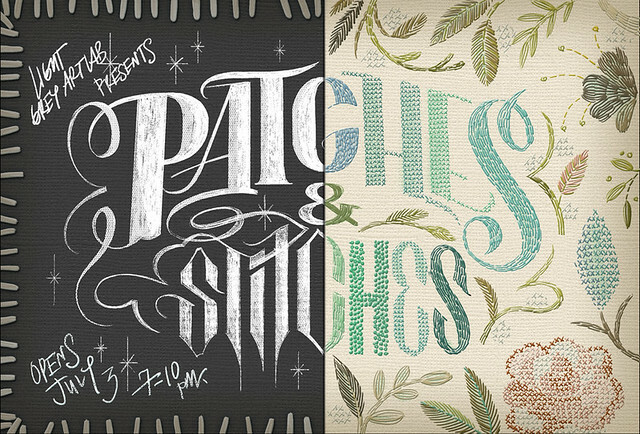 LIGHT GREY ART LAB: PATCHES + STITCHES Artists Announced! PATCHES + STITCHES Artists Announced! A huge welcome to all of the artists selected to participate in the upcoming Patches + Stitches Exhibition! Mark your calendars for July 3rd for a very special two-part opening reception and artist talk with local illustrator,Teagan White! Teagan is participating on the Patches side and will be leading a lecture and 2.5 day workshop that weekend, July 3rd-5th. You can see all of the details on the workshop here! More details for the exhibition and opening coming soon!. This is very rare and is very well presented, thanks for it.